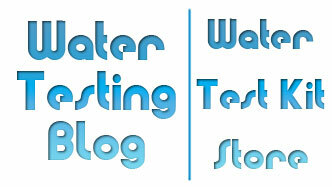 Recently we saw that a company had a link on its web site entitled Online Pool Water Testing… and quite honestly it seemed a bit weird to think that a company could POSSIBLY test your water over the Internet so naturally we went and checked out the link. 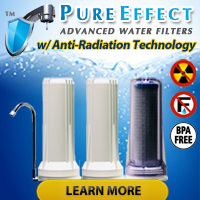 We EXPECTED to find a convoluted bunch of advertising hype leading up to asking us to send a sample of our water to a lab someplace bu we did not find anything of that nature. 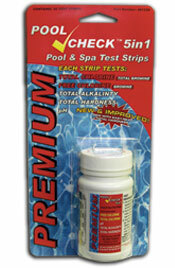 The company, In the Swim (www.intheswim.com) posted a very simple online form that asked for just a few simple pieces of information that one could obtain by looking at their pool water and using a test strip like the Pool Check 5-Way Pool Test Strips offered in our online store. The form asked for the following pieces of information: Pool type (pool or spa), water conditions (cloudy or clear & color if cloudy), visible algae, visible stains, pH, total alkalinity, calcium hardness, and free/available chlorine (or bromine). Then, once we hit the ‘submit’ button it took us to a page where it placed all of our values in a nice, neat table that also contained the industry accepted values for the same pool water quality parameters. This made it very easy for us to see exactly how our pool water quality compared to the way it should be. We then had a chance to ‘view suggestions’ regarding our personal water quality situation — which we did — and a new page appeared with information regarding possible causes of our pool water woes (we said we had cloudy water and low pH). At this point the program did, of course, give a push for us to add some chemicals to our cart, but never once did the program’s language seem threatening or intimidating… like we have overheard in many pool stores over the years. Yep. Got to love the untrained, uncouth water testing personnel in some pool stores. Wait, we take that back. No, you don’t have to love them. You SHOULD, however, make use of Pool Check Test 5-Way Strips and the convenient, not-too-pushy Online Pool Water Test program on IntheSwim.Com. No download required, either! It’s 100% online and easy!